A new version of Rocky DEM particle simulation software has been released that expands particle modeling capabilities and increases support for coupled ANSYS® simulations. As a significant benefit, this new version provides users with unique features to model not only rigid but flexible particles, along with their interactions on structures and complex fluid flows. In addition, the release expands Rocky DEM multi-body motion capabilities, which can be employed in a number of applications. For some of these applications, users no longer need to couple the software with an external third-party motion-body dynamics tool, gaining easier integrated setup. Find out what is unique in this latest version, then experience everything that Rocky DEM has to offer with revolutionary new features along with improved benefits. Rocky 4.1 software features new particle models that help users to set up and simulate new particle behavior under realistic conditions. Fiber particles — This model enables users to set up and simulate the dynamics of a large number of fibers, depicting behaviors such as flexibility, deformation, and inter-fiber interaction as well as the effect of fluids on fibers through coupled simulation with ANSYS Fluent®. The fiber-particle model is especially valuable for customers in the agriculture, food, automotive, off-road, and appliance industries, where proper understanding of fiber behavior, such as with grass seed, hay and hair, is crucial to equipment performance optimization. Shell particles — Rocky 4.1 gives users the ability to simulate both rigid and flexible shell particles. Shell elements can be a huge time saver, since they enable modeling thin features with relatively fewer elements than solid-element modeling requires. Particulate materials like leaves and chips can be simulated much faster when using this new feature. New models allow for mixed particle models — combining fibers, shells and solids — extending the range of existing modeling possibilities. Tavares breakage model — Based on the well-known Luis Marcelo Tavares work (Federal University of Rio de Janeiro, Brazil), this model extends Rocky DEM’s previous breakage model by considering additional particle properties. “The Tavares model in Rocky DEM allows more-realistic simulations of systems in which particle breakage occurs, by consistently describing size-dependent breakage probability, fragment distribution, and weakening by damage accumulation. In particular, the model is very useful in describing ore degradation during handling as well as size reduction in different types of crushers, providing greater confidence in predicting both the proportion of broken particles and product size,” says Professor Tavares. Rocky DEM 4.1 takes another step forward by giving more freedom in configuring complex geometry movements, enabling users to set up as many free-body motions as needed within a motion simulation. For example, users from heavy equipment and automotive organizations won’t need to use an external dedicated multi-body dynamics tool to perform such analysis, thus avoiding additional license costs and gaining easier integrated setup with this feature. Transient loads — Rocky DEM 4.1 supports transient loads on coupled simulations with ANSYS Mechanical™. Users can transfer loads from particles to structures in multiple time intervals to analyze the complete stress operation envelope of a dynamic process. The operation is seamlessly performed through the ANSYS Workbench™ environment, maintaining previous pervasive characteristics due to Rocky DEM’s tight integration with the Workbench framework. Increased ANSYS Fluent support — Multiple domains and distributed simulations are now supported for both one-way and two-way coupled ANSYS Fluent problems. Users can simulate multiple fluid domains — both moving and stationary — with automatic handling of the general domain interfaces. In addition, the distributed simulation capability enables multiple simulation nodes within ANSYS Fluent to be defined directly inside the Rocky DEM interface by importing a node configuration file. For Rocky DEM, performance is paramount. 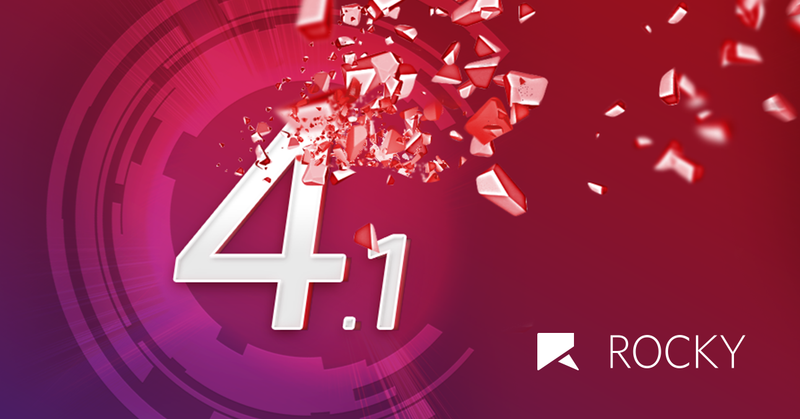 V4.1 takes a leap forward in all models, increasing scalability within multiple GPU systems for spheres and general polyhedral models. This performance improvement can reach up to a 10-times performance gain while using 10 times less memory, even on problems involving complex concave particles, for example. “Thanks to Rocky DEM’s solver performance improvements and multi-GPU capability, we can realistically simulate a wide range of screen sizes in our roll screener systems, all within the design phase time frame,” says Young Choi, simulation team manager at Daesung Jtech, South Korea. The latest software also offers support for running on headless cluster nodes. This capability configures Rocky DEM software as cloud-ready for Google Cloud and Amazon Web Services systems. Want to see Rocky 4.1 in action?